Tags: Asgardia, Astronomy ( 7,559 ), Astrophysics ( 4,694 ), Basic Research ( 10,456 ), Cosmology ( 4,885 ), Heliopause ( 3 ), Heliosphere ( 3 ), Medium ( 12 ), Oort Cloud, See the full blog post for images of all of the spacecraft involved and the Heliopause and Heliosphere, Which Spacecraft Will Reach Interstellar Space Next? NASA’s Voyager 2spacecraft reached interstellar space in December 2018, following in the footsteps of its sister, Voyager 1. Currently, only five spacecraft have been launched that can make such a grand exit, including the Voyagers. The other three are Pioneers 10 and 11, and New Horizons. Which one will make a great escape next? Reaching interstellar space is a milestone that is thought of as leaving the solar system by a specific definition. In 1990, the New York Times reported that Pioneer left the solar system when it flew past Neptune’s orbit. But that’s not what Voyager 2’s scientists used as their definition. Instead, the more recent measurements said the crossing of the sun’s heliopause, the theoretical boundary to its heliosphere, is the determining factor for entering interstellar space. The heliosphere is a bubble of charged particles that are created by and flows past the sun. It is used by scientists to mark where interstellar space starts. However, the heliosphere is tricky, and there are many changes such as the sun’s 22-year solar cycle, the shrinking and growing with the solar wind, and stretching out behind the sun in the star’s direction of travel. It’s not something that can be measured easily from Earth. Thus, NASA’s Interstellar Boundary Explorer (IBEX) mission is trying to define the edges of the bubble remotely. Observations from the Voyager probes’ indicate that they’ve pierced this bubble. However, since researchers think the Oort Cloud also surrounds the sun, an area of icy bodies that is estimated to stretch from 1,000 to 100,000 astronomical units — far beyond the heliopause — the Voyager probes cannot be considered entirely outside the solar system. (One astronomical unit, or AU, is the distance between the Earth and the sun — 93 million miles, or 150 million kilometres). When Voyager 1 and 2 crossed the heliopause, their still-working particle instruments unveiled the historical events. The heliosphere functions as a shield, keeping out many of the higher-energy particles created by the cosmic rays generated by other stars. By tracking both the low-energy particles found inside the solar system and the high-energy particles from outside of it, the instruments could reveal a sudden surge of cosmic rays alerting scientists that the spacecraft had left the solar system. The ever-changing nature of the heliosphere makes it impossible to tell when Pioneer 10 and 11 will enter interstellar space. It’s even possible that one of them may have already. As per NASA’s e-book Beyond Earth: A Chronicle of Deep Space Exploration, from Nov. 5, 2017, Pioneer 10 was approximately 118.824 AUs from Earth, farther than any craft besides Voyager 1. H(? ), Although Pioneer 11 and the Voyager twins were all heading in the direction of the sun’s apparent travel, Pioneer 10 is headed toward the trailing side. 2017 research showed that the tail of the heliosphere is around 220 AU from the sun. Since Pioneer 10 travels about 2.5 AU/year, it will take Pioneer until roughly 2057–40 years — to reach the changing boundary. Pioneer 11 was thought to be approximately 97.6 AUs from Earth as of Nov. 5, 2017, according to the same e-book. Unlike its twin, the spacecraft is travelling in about the same direction as the Voyagers. Voyager 2 crossed into interstellar medium at approximately 120 AUs. Since Pioneer 11 is moving at 2.3 AU/year, it should reach interstellar space in about eight years, around 2027 — assuming the boundary doesn’t change, which it probably will. On Jan. 1, 2019, New Horizons made its most recent flyby of a solar system object, and it was launched much later than the other four. During this flyby, New Horizons was 43 AU from the sun. 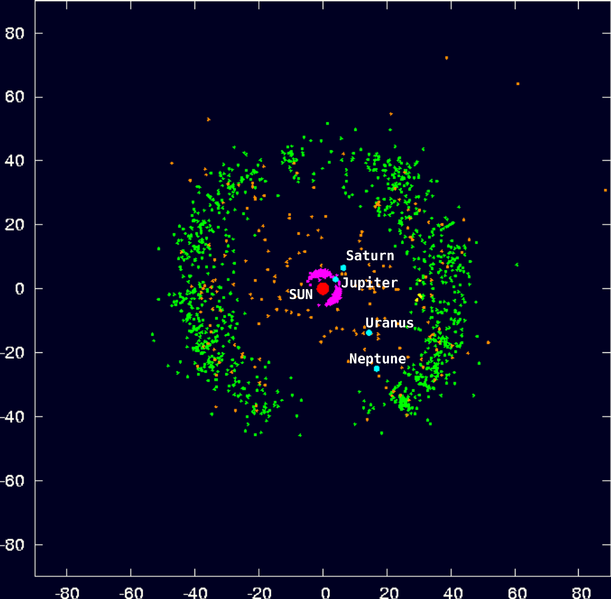 The mission’s principal investigator, Alan Stern, told Space.com that the spacecraft was travelling approximately 3.1 AU each year, or 31 AU in ten years. In another two decades, the spacecraft has a good chance of reaching interstellar space. If New Horizons crossed at Voyager 2’s same border (it won’t, but just consider as a baseline), it would make the trip in just under 24 years, in 2043. But it’s possible the ISM line will move inward, allowing it to cross sooner. Although there won’t be a direct confirmation of crossing the heliopause with the Pioneer spacecraft, it’s possible that New Horizons will still be working, and will give us a detailed study of interstellar space. The particle detectors that it holds are much more potent than the ones on Voyager, Stern said. Moreover, New Horizons holds a dust detector that would offer insight into the area beyond the heliosphere. However, whether or not they will still be functioning remains to be seen. As per Stern, power is the limiting factor. New Horizons runs off of decaying plutonium dioxide. Presently, the spacecraft has enough power to work until the late 2030s, said Stern, and it is currently in good working order. If in the unlikely event that the ever-changing heliosphere remains static Pioneer 11 will be the next to cross the heliopause in 2027, followed by New Horizons in 2043. Pioneer 10, the first of the five spacecraft to launch, will be the last to leave the heliosphere, in 2057. Once again, this assumes the extremely unrealistic chance that the heliopause remaining static for the next four decades. A recent study points to the possibility that just 70,000 years ago, a star passed through our Solar System. How often does this happen, and what are the consequences? How bad would it be if a star passed near the Sun? How close/large would it have to be to pose serious danger? How likely would such an event be? The possibilities range from the mundane, where a few Oort cloud objects get thrown around, to the catastrophic, such as a collision with or ejection of an entire planet. Let’s take a look at what actually transpires. Our best estimates are that there are between 200 and 400 billion stars in our own Milky Way galaxy. Although stars come in a huge variety of sizes and masses, the majority of stars (around 3 out of every 4) are red dwarf stars: somewhere between 8% and 40% the mass of our Sun. These stars have similarly smaller physical sizes than our Sun: on average, about 25% the Sun’s diameter. And finally, we know roughly how big the Milky Way is: a disk around 2,000 light years thick, around 100,000 light years across, and with a central bulge that’s around 5,000–8,000 light years in radius. Finally, relative to the Sun, the typical star moves at a speed of around 20 km/s: about 1/10th of the speed that the Sun (and all the stars) orbit through the Milky Way itself. These are the stats on the stars within our galaxy. There are plenty of details, caveats, and nuances that we are ignoring here, like the density changing with respect to whether we’re in a spiral arm or not, the fact that there are more stars towards the center than the outskirts (and our Sun is mid-way towards the edge), the inclination of the orbits in our Solar System with respect to the galaxy, and slight changes dependent on whether we’re in the center of the galactic plane or not. But the reason we can ignore them is that just from the above approximation, these numbers allow us to calculate how often stars from the galaxy come within a specific distance of our Sun, and therefore, how often we can expect a close encounter of various impacts. The way we compute it is very simple: we calculate the number density of stars, the cross-section we’re interested in (defined by how close you want another star to get to our own), and the speed with which the stars move relative to each other, and then multiply them all together to get the collision rate. This method of computation for a collision rate is useful for everything from particle physics to condensed matter physics (for the experts, this is basically the Drude model), and it applies just as readily to astrophysics. If we assume there are 200 billion stars in the Milky Way, that the stars are evenly distributed throughout the disk (and we ignore the bulge), and that 20 km/s is the speed that the stars move relative to one another, here’s what we get if we plot the interaction rate vs. the distance from the Sun. It tells us that, on average, the closest we can expect a star to have come to the Sun over the history of the Universe is around 500 A.U., or about ten times the distance from the Sun to Pluto. It tells us that, once every billion years, we can expect a star to come within about 1,500 A.U. of the Sun, close to the edge of the scattered Kuiper belt. 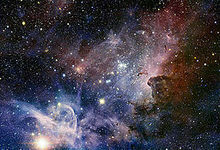 And more frequently, about once every 300,000 years or so, we’ll get a star that comes within about a light year of us. This is good for the long-term stability of the planets in our Solar System, for certain. It tells us that over our Solar System’s 4.5 billion year history, the odds that a star would come as close to any of the planets as our Sun is to Pluto is approximately 1-in-10,000; the odds that a star would come as close to a planet as the Sun is to Earth (which would severely disrupt an orbit and cause an ejection) is less than 1-in-1,000,000,000. It means that the likelihood of another star in the galaxy passing by us and causing us severe difficulties is terrifically low. We cannot bet on us losing the cosmic lottery, and the odds are that we haven’t lost it so far, and won’t for the foreseeable future. 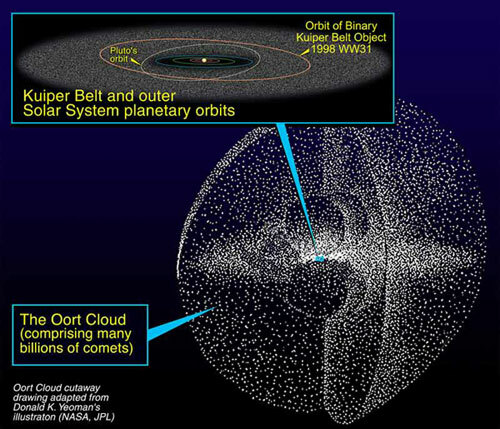 Oort cloud objects are very loosely bound to the Solar System, meaning that a very small gravitational tug is enough to alter their orbits significantly. Stars are very massive, so a star that passes the same distance from an object as that object is from the Sun can “kick” it enough to alter its orbit. This tells us that whenever we do experience a close encounter with a passing star, we’re at an increased risk, for perhaps the next few million years, of a collision with an incoming object from the Oort cloud. In other words, the effects of a passing star won’t have an observable effect on what icy, comet-like bodies come into the inner Solar System until another 20 or so additional stars have had a close encounter with our own! This is problematic, because the last star system that passed near our own Sun, Scholz’s star (which did so 70,000 years ago), is already 20 light years away from us. However, there is a potentially optimistic thing that comes from this analysis: as we come to better map out and understand the stars and their motions within the nearest 500 light years, we can better predict when-and-where rogue, incoming Oort cloud objects are likely to arise. If we’re concerned with planetary defense from objects hurled inwards by passing stars, this kind of knowledge is the obvious next step. WISEPC J045853.90+643451.9, shown in green, is the first ultra-cool brown dwarf discovered by NASA’s Wide-field Infrared Survey Explorer, or WISE. It will require building wide-field surveying telescopes capable of seeing faint stars out to great distances. NASA’s Wide-field Infrared Survey Explorer (WISE) mission was the prototype for this, but the distances over which it could observe the faintest, most common stars was severely limited by its size and observing time. An all-sky, infrared space telescope could map the neighborhood around us out, telling us what’s likely to arrive, on what timescales, from what directions, and what star caused these perturbations in the Oort cloud objects. Gravitational interactions are always occurring, as even though there’s a great distance between stars in space, the Oort cloud is huge, and we literally have all the time in the world for objects to pass by and affect us. Given enough chances, everything you can imagine will occur. Before I get into this article, I want to remind everyone that it’s been several decades since I’ve been able to enjoy a bright comet in the night sky. I’ve seen mind blowing auroras, witnessed a total solar eclipse with my own eyeballs, and seen a rocket launch. 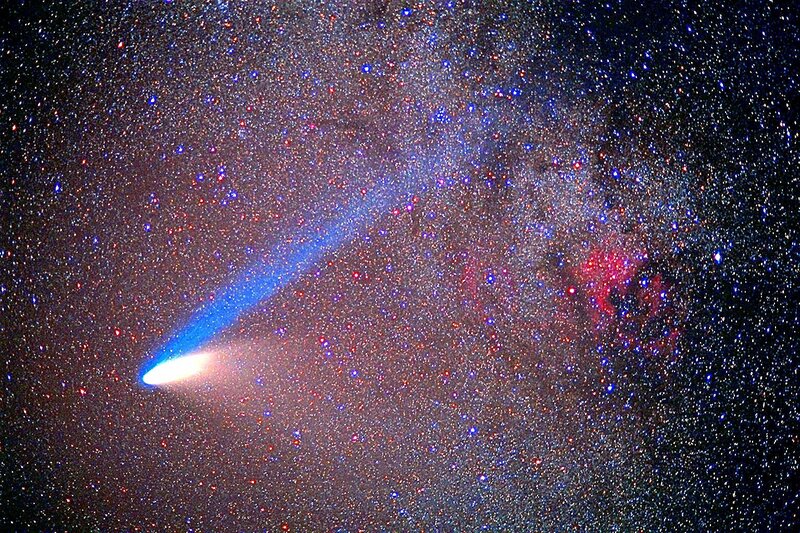 The Universe needs to deliver this bright comet for me, and it needs to do it soon. By writing this article now, I will summon it. I will create an article that’ll be hilariously out of date in a few months, when that bright comet shows up. Anyway, on to the article. Let’s talk about comets. To our Solar System, “close-encounters” with other stars happen regularly – the last occurring some 70,000 years ago and the next likely to take place 240,000 to 470,000 years from now. While this might sound like a “few and far between” kind of thing, it is quite regular in cosmological terms. Understanding when these encounters will happen is also important since they are known to cause disturbances in the Oort Cloud, sending comets towards Earth. Thanks to a new study by Coryne Bailer-Jones, a researcher from the Max Planck Institute for Astronomy, astronomers now have refined estimates on when the next close-encounters will be happening. After consulting data from the ESA’s Gaia spacecraft, he concluded that over the course of the next 5 million years, that the Solar System can expect 16 close encounters, and one particularly close one! For the sake of the study – which recently appeared in the journal Astronomy & Astrophysics under the titleThe Completeness-Corrected Rate of Stellar Encounters with the Sun From the First Gaia Data Release – Dr. Bailer Jones used Gaia data to track the movements of more than 300,000 stars in our galaxy to see if they would ever pass close enough to the Solar System to cause a disturbance. 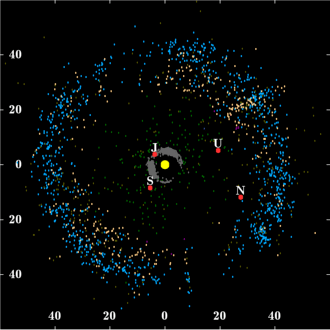 A giant shell of icy bodies known as the Oort Cloud encircles the solar system. 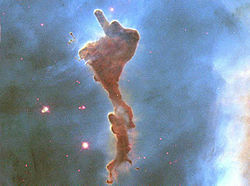 When its inhabitants interact with passing stars, molecular clouds, and gravity from the galaxy, they may find themselves spiraling inward toward the sun, or cast completely out of the solar system into distant regions of space. Although this shell was first proposed in 1950, its extreme distance makes it challenging for scientists to identify objects within it. In 1950, Dutch astronomer Jan Oort suggested that some of the comets entering the solar system come from a cloud of icy bodies that may lie as far as 100,000 times Earth’s distance from the sun, a distance of up to 93 trillion miles (150 trillion kilometers). Comets from the Oort Cloud can travel as far as three light-years from the sun. The farther they go, the weaker the sun’s gravitational hold grows. Passing stars and clouds of molecular gas can easily change the orbit of these comets, stripping them from our star or casting them back toward it. The path of the comets is constantly shifting, depending on what factors influence it. The estimated two trillion objects in the Oort Cloud are primarily composed of ices such as ammonia, methane, and water. Formed in the beginning of the solar system, they remain pristine chunks of its early life, allowing comets to provide insight into the environment in which the early Earth evolved. While gravity drew other bits of dust and ice together into larger celestial bodies, the residents of the Oort Cloud weren’t as fortunate. Gravity from the other planets—primarily gas giants such as Jupiter—kicked them into the outer solar system, where they remain. The population of the Oort Cloud is in a constant state of flux. Not only are some of its residents permanently booted out of the system through interactions with passing neighbors, the sun may also capture the inhabitants from the shells surrounding other stars. Some of the bodies plunging toward the sun may have been kidnapped early in the sun’s evolution, when it was part of a more closely-packed cluster of stars. When the comet Hyakutake passed within 9 million miles (15 million kilometers) of Earth in 1996, it was completing a journey of about 17,000 years from the distant reaches of the Oort Cloud. 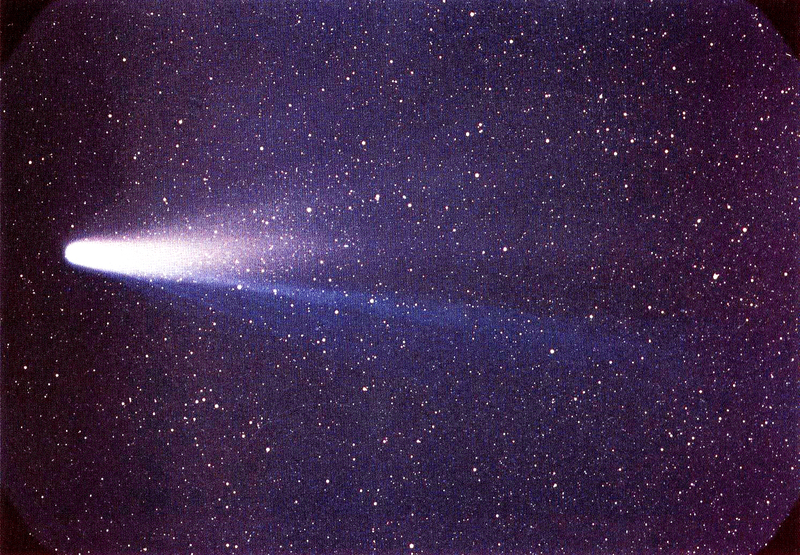 Hale-Bopp was another long-period comet that traveled in from the Oort Cloud. Visible for nearly a year and a half, it passed within 122 million miles (197 million kilometers) of the Earth. Both of these Oort Cloud objects had their orbits drastically changed as a result of their pass through the solar system. 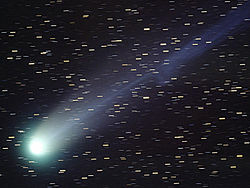 Halley’s Comet is also believed to have originally come from the Oort Cloud, although it is now a Kuiper Belt object. Scientists have identified four other objects that they believe are part of this distant group. The largest of the four, Sedna, thought to be three-quarters the size of Pluto, lies 8 billion miles (13 billion kilometers) from Earth and orbits the sun approximately every 10,500 years. The other three objects are known as 2006 SQ372, 2008 KV42, and 2000 CR105, and range between 30 to 155 miles (50 to 250 km) in size.